The Chapter 11 plan confirmation process is a 2-step procedure. It begins by the joint filing of a plan and disclosure statement, as prescribed by Bankruptcy Rule 3016. The plan is the proposal to creditors for debt repayment and for the debtor's future operations. 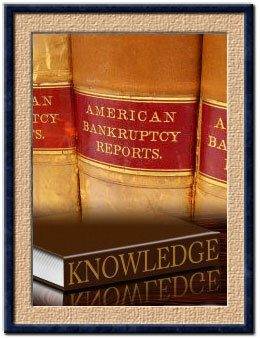 Bankruptcy Code Section 1123(a) minimum requirements for the contents of a plan. The disclosure statement contains detailed background information about the debtor and the plan. Its purpose, enunciated in Bankruptcy Code Section 1125(a)(1), is to provide "adequate information" to enable a hypothetical investor typical of holders of claims or interests of the relevant classes in the case to make an informed judgment about the plan. Every Chapter 11 case is different. Not every case needs a 500-page, Wall Street stock prospectus-type of disclosure statement. The determination of whether the information is "adequate", is made "in light of the nature and history of the debtor and the condition of the debtor's books and records". The Chapter 11 of Suzette Smith's local dog-grooming salon operation, "Pawz R Us", will require considerably less in the way of information than, e.g., the Chapter 11 of Pacific Gas & Electric Company. After the plan and disclosure statement are filed, the court will hold a hearing on the adequacy of the disclosure statement. All creditors will receive notice (normally 32 days) of the hearing and of their opportunity to object. Objections usually need to be filed at least 7 days before the hearing. A creditor can object on the ground that he does not believe that the disclosure statement contains adequate information. The court will then conduct a hearing. It is not unusual for the court to require the disclosure statement to be amended or augmented in some regards, and it is common practice for an amended disclosure statement to be approved. The Court will then sign an Order Approving Disclosure Statement, and Setting Hearing on Confirmation of Plan. The debtor (or other plan proponent) will mail a copy of the Order Approving Disclosure Statement, Plan, Disclosure Statement, and Ballot, to all creditors and interested parties, the U.S. Trustee, and the Securities and Exchange Commission (SEC). The debtor or plan proponent is free to contact creditors and ask that they vote to accept the plan and return the completed ballot marked "Yes" or "Accept". Creditors are given a minimum of 25 days to return their ballots, and to file any written objections to confirmation of the plan. The Court then conducts a hearing on confirmation of the plan.